Iran’s nuclear program inspires perennial rumors of an Israeli air raid. No one really knows if one is coming. But if it does, it won’t be a conventional bombing run. Israel has quietly developed powerful jamming, spoofing and electronic weapons to confuse the mullahs before, during an after an attack. 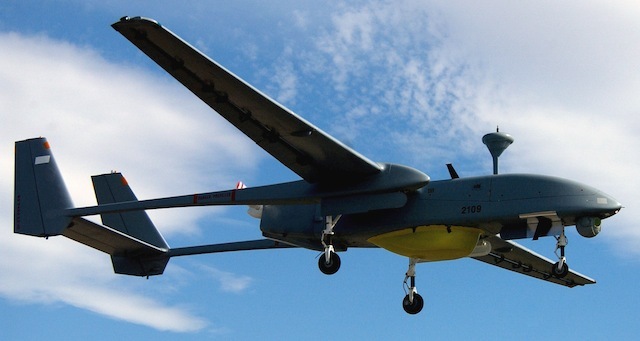 A combined squad of Heron drones, manned electronic attack planes from a unit called the Sky Crows and fighter jocks in F-15s and F-16s would execute the attack on Iran’s nuclear facilities. The Israeli team will spoof the radars on the Iranian air defense weapons, telling their monitors that either no planes are in the sky or hundreds are. A separate spoofing effort will disrupt cellphone networks. Then the Israelis will hit the Iranian military’s command network with a distributed denial of service attack. All of this is revealed in a monster piece from Danger Room friend Eli Lake, a Newsweek/Daily Beast reporter. Lake also reports that the Israelis might also possess the ability to insert a Stuxnet-style worm into the networks controlling Iran’s electrical grid. Might not be such a stretch: Israel (along with the U.S.) may well have developed the Stuxnet worm to disrupt the Iranian nuke program. The basic idea is as follows: blind an adversary, confuse him, bomb him, disrupt his ability to react or mitigate the consequences, fly away. Israel may have already given its joint electronic-air attack a test run. In 2007, when it bombed Syrian nuclear facilities, Israel reportedly remotely disabled the tripwires on Syria’s air defenses. Reportedly, it pumped the sensors on those air defenses full of data streams that the sensors think are commands from the systems administrator. The U.S. has looked at Israel’s electronic warfare weapons with interst. The Navy wants its forthcoming next-generation jammer to do many of the same things — especially inserting malware into an adversary’s command network. The Pentagon’s chief information officer has launched a study into how the military safeguards its own electromagnetic spectrum from infiltration or attack, subscriber-only InsideDefense reports. And the military command in charge of a cyberattack now believes it’s legally in the clear to conduct “offensive operations of any kind,” Air Force Gen. Robert Kehler, its chief, told Reuters. If there is an Israeli attack on Iran, U.S. military planners will probably be taking notes. And there’s an irony to Israel’s powerful growth in electronic weaponry. The aspect of the bombing campaign least likely to succeed might be the bombing itself. Iran may not be able to stop the bombing. But it’s diversified and hidden its nuclear sites. Israel may not know where all of them are. And it can’t even hit the ones it knows about it one run, like it did in Syria or during the 1981 strike on Saddam Hussein’s nuke program. The longer the air campaign stretches on, the longer the Iranians have to orient themselves, adapt and respond.